To win roulette is like magic. Black or Red? What is your colour today? Passion or death? To avoid such dramatic comparison and rule your destiny smart, you can learn some strategies to win live roulette. D’Alembert betting system is just one of them. It is a negative progression system. Such words mean nothing to you? 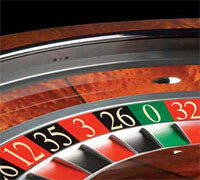 What if by the end of this article you will know the safest, the most killing strategy to win roulette? To play to your heart content and your pockets full? If you are interested in such stuff, well, let’s find out it works, actually. The rules are simple. You should increase your bet if you lose and lower your bet if you win. So, remember. Lose – add more chips. Win – take some of your bet away. Thus, you can continue playing and make profits. You also have some system to follow that makes your game session much more awaken… from bad decisions. You can start with any bet. It can be $1 or $5. However, to start playing with much profit you should choose $5. Why? Because you have more options to increase your bet to great sums and lower to not so huge amounts. For example, you start playing with $5 and lose. Now you need to increase your bet by 1 unit. Play with $6. You lose again and place a bet equal to $7. Then, you win and decrease to $6. If you win again you should decrease to $5. Thus, you can see the magic rule of d’Alembert strategy – if you have the equal number of wins and losses, you WIN. The best thing about this betting system is that it requires small bankroll and you are protected from huge losses. Thus, being a low-risk roulette system, this strategy provides you with low potentially wins. That can be the best choice for beginners as well as for people who adore smart play. There is also the Reverse d’Alembert system for you. In this case you should increase your bets if you win. If you lose, decrease your bets. Now you can set the point at which you will be happy and lead your way to this road of wealth. You won’t win in one step. Relax, enjoy the game and all your money come to you gradually. Just choose some strategic bet to stick to. For example, you can bet on black only (well, clearly, death becomes her;)). Set your limits. For example, you can bet on black till this colour is hit 5 times. At that point you take away your money and start with new bet. Note that d’Alembert system works better with even bets. As any betting system it has no guarantee. You can lose as well as win. The only thing offered by d’Alembert betting strategy is that you have some system to follow. That you can monitor your wins and losses more clearly. And of course, to leave the table with some profits… if luck smiles at you.